Anscombe kicked 20 points in a coming-of-age display as Gatland's side blew Ireland away to clinch a first Six Nations clean sweep since 2012 and a third under the Kiwi. Wales' latest success has been all the more remarkable given it has come against a backdrop of boardroom chaos with the Welsh Rugby Union and the country's four regions still locked in discussions over "Project Reset" - the system by which Welsh rugby will be run. Those talks led to the abandonment of a proposed merger between the Ospreys and Scarlets, while Gatland's leading lights have also had to deal with growing uncertainty over their futures. Anscombe and Wales captain Alun Wyn Jones are both out of contract at the end of the season and the former believes the WRU needs to show its commitment to Wales' star men, given the team's remarkable 12 months which has seen them go 14 matches unbeaten. 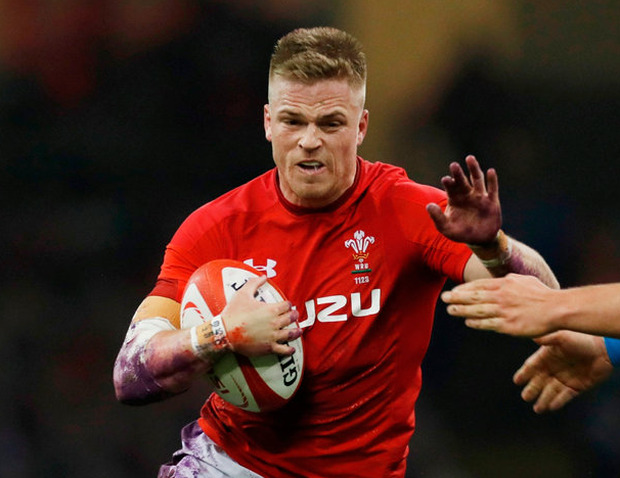 New Zealand-born Anscombe, who admits he might "never be the darling boy of Welsh rugby" despite his man-of-the-match performance against Ireland, said: "It's been tough with what is going on in Welsh rugby. "It's not what you want to be dealing with as a player, but with the Six Nations I've just been trying to focus on playing well. "I've got a decision to make shortly, and hopefully we'll have some news soon. We all want to play for Wales, there is no doubt about that, but players need to be treated well. We are doing a hell of a lot for the team and the country so we should be looked after. That needs to get sorted and I think the players have been let down a fair bit, certainly when you think about the results we've provided." The WRU has introduced a banding system in which players will be placed and then paid accordingly. It is understood the move is unpopular with many players as it is felt it limits their earning potential.